Jack is five. He and Ma live in Room. They read and play and learn and sometimes watch TV. Jack's best friend on TV is Dora the Explorer, but he knows that people on TV aren't real. They are just pretend and made of colour. Only Room is real. Jack and Ma and Room are all there is. Except for Old Nick. Old Nick is from outside. Some nights he comes to Room after Jack is tucked inside Wardrobe. Old Nick brings groceries and clothes and disappears the trash. Ma doesn't want Old Nick to see Jack and she doesn't want Jack to see Old Nick, but sometimes Jack can see Old Nick through the slats of Wardrobe, even though he is supposed to be switched off until morning. Ma is afraid of Old Nick. This is an incredible book. Told from the perspective of a five-year-old boy, Room creates an intensely realized world that manages to seem at once comfortingly normal and terrifyingly claustrophobic. 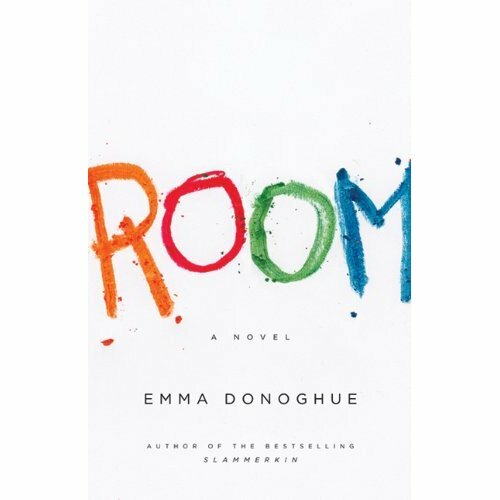 Emma Donoghue has masterfully depicted the world of this locked sound-proofed 11' x 11' room through the eyes of Jack, who was born in captivity to a woman abducted from a university campus seven years earlier. The voice of Jack is near perfect, not only in the distinct language used by a five-year-old, but also in the unique perspective through which that child sees the world, in this case, a single room. She manages to convey all the fears, desperation and depression that Ma goes through, as seen through the imperfect filter of a child's understanding. I was completely engulfed in the world of Room. During the initial section of the book, I felt all the claustrophobia that Ma hides from Jack, making it difficult at times to continue reading, frankly. But this phase is mercifully brief, as Jack gains awareness of the fact of a world outside of Room. At this point, the pace accelerates exponentially and the suspense becomes almost unbearable. I shocked myself by gasping aloud at one point, and I couldn't turn the pages fast enough. 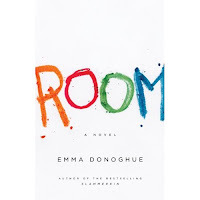 In the latter half of Room, Ma and Jack make the complicated transition to life outside of Room, a transition that is fraught with the perils of the unknown as well as the joys of discovery. Room is simultaneously joyous and terrifying, light-hearted and intense. It is without a doubt one of the finest books I have read this year, and one that I will not soon, if ever, forget. You owe it to yourself to read Room. Ah, I remember we saw the author at that event in Oct. 2010. I'm intrigued by the book but it sounds really creepy...I think that's what's kept me away despite all the accolades it's received. I read it earlier this year as well and was blown away by the writing and how she completely immersed herself in Jack's voice. I also appreciated how much of the novel was about the time after Ma and Jack leave Room, and how difficult that transition was for them. Compelling read. Our book club is reading this in a few months...I can wait to read this one. It's surprisingly not creepy at all, WC. In fact, I found it ultimately uplifting. I did feel claustrophobic near the beginning, when it felt like each day was going to be a repeat of the last. But just as I started feeling that way, everything changed. Jack's narrative voice is absolutely perfect, Moxie. He says things (and understands things) exactly as a five-year-old would. Simply astounding. The transition aspect of the novel is so very different from the earlier portion, yet so compelling is such a different way. I'd love to sit down and talk to you about this book over a glass of wine! Oh yes, do wait, Leazwell! You will love discovering this with your book club, I think. I've seen this book everywhere since we saw the author last year. I should pick it up. Although, I should really read all the others on my nightstand first. I've got a teetering stack on my bedside table as well, Al, but sometimes I need to mix things up a bit with a library pick. It always feels so luxurious to do so. I read the book last year, and totally agree with the review you wrote. I didn't think I would like the book given its creepy subject matter, buy Sean bought it for me and I did stay up a few nights quite late because I just couldn't put it down, once I finally started it. Next on my list is Stone Diaries for a book club that I joined just after reading this book. It's been quite a while since I have been so engrossed by a book, Moe, so I completely understand the late nights. Does your book club give you a lot of time to read your book? I usually take forever to finish a book. I liked the Stone Diaries, but my favourite Carol Shields book is Larry's Party. Like WC, I just found the premise too creepy. But it sounds worth a try! I have a hard enough time reading more than two paragraphs in bed without the red wine and Jon Stewart factor, Moe. I do like the idea of a book club, though, sounds like fun! It truly overrides any creepiness inherent in the situation, SME. Well worth the read. I've seen about a thousand reviews of this book but realized as I read yours that I'd read not any of them. Because holy crow, I want to read this now. So worth reading, John! Get thee to a library, stat! It was a great book, creepy, but so well written. Your thoughts on Jack's voice is right on - the author did a fantastic job there. I was astounded at how well and consistently she captured Jack's voice, Jules. Truly a marvelous book.